LE MERCIER (Mercier), FRANÇOIS-MARC-ANTOINE, artillery officer; b. 29 Dec. 1722 at Caudebec, France, son of Nicolas-François Le Mercier, lieutenant-colonel of infantry in the Régiment d’Agenois, and Charlotte Le Rebours; m. Françoise Boucher de La Bruère (La Bruyère) at Sainte-Foy, near Quebec, on 15 Nov. 1757, three days after he was baptized by Bishop Pontbriand [Dubreil*] in Notre-Dame in Quebec; d. c. 1798 in the region of Lisieux, France. 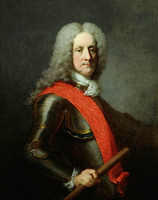 In 1734 François-Marc-Antoine Le Mercier was a militia lieutenant, and the following year he joined the Régiment d’Agenois at Philippsburg (Federal Republic of Germany) with the rank of second lieutenant. At the end of the War of the Polish Succession he was put on half pay and shortly after left the army to study mathematics at Strasbourg and La Fère in France. He arrived in Canada in 1740 as a cadet in the colonial regular troops. Serious and ambitious, Le Mercier began to study engineering and gunnery; in 1743 he was appointed second ensign and was attached to the service of the commissary of artillery, Jean-Baptiste Dupin de Belugard. When the War of the Austrian Succession spread to America in 1744, Le Mercier found himself in sole charge of the artillery at Quebec. He supervised 500 workmen, having batteries built, setting up defence lines near the Rivière Saint-Charles, and repairing a barrack block. The following year he served as an engineer and artillery officer in the Acadian campaign under Paul Marin* de La Malgue. After the surrender of Louisbourg, Île Royale (Cape Breton Island) in June 1745, he proceeded to Beaubassin (near Amherst, N.S. ), which was being used as a rallying point; on the way there he sank a privateering sloop. He then returned to Quebec. At the beginning of 1746 he was ordered by Governor Charles de Beauharnois* to go to Fort Saint-Frédéric (near Crown Point, N.Y.) to help in readying its defences and to take an inventory of its munitions and supplies. During his stay at the fort he discovered the Lac Saint-Sacrement (Lake George) portage and went as far as Fort Lydius (also called Fort Edward; now Fort Edward, N.Y.). He was recalled to Quebec after the spring thaw and left immediately for Acadia with the force that Jean-Baptiste-Nicolas-Roch de Ramezay was leading to meet the Duc d’Anville [La Rochefoucauld*]. 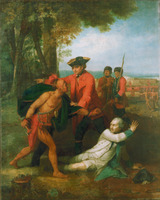 At the beginning of the following winter he was at Beaubassin, and in February 1747 was one of 300 Canadians and Indians commanded by Nicolas-Antoine Coulon* de Villiers who, in extremely cold weather and after a forced march, successfully attacked a detachment of New Englanders led by Arthur Noble* at Grand Pré, Nova Scotia. 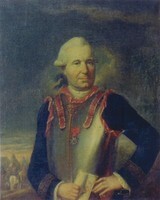 In 1748 Le Mercier was appointed artillery aide. When the war ended, he was sent to France specifically to study artillery drill, the manufacture and casting of artillery pieces, and the basic concepts of defence works, and he subsequently sat an examination. He stayed in several towns and to acquire experience visited some ironworks, including those at Rancogne (dept of Charente) where cannons were cast. At the beginning of 1750 he was promoted lieutenant and put in command of an artillery company, the first such unit to be sent to Canada. From Rochefort he went to the Île de Ré, where he trained his artillery recruits. When he was back in Canada with his company, he made a strong impression on Governor La Jonquière [Taffanel*] because of the discipline he maintained among his gunners and the care he took of the artillery. In 1751 Le Mercier supervised the casting of some 100 guns and a dozen mortars at the Saint-Maurice ironworks at Trois-Rivières, but apparently Intendant Bigot put an end to the arms production at the ironworks after 1752, for a number of reasons including the lack of specialized master founders. In 1753 the new governor of the colony, Duquesne, who was determined to ensure French supremacy in the Ohio region, organized a major campaign [see Paul Marin de La Malgue]. Le Mercier took part in it as an engineer; he was also made responsible for the transport of rations. In April he left Montreal with a small detachment and headed towards Fort Niagara (near Youngstown, N.Y.). During the summer he helped build Fort de la Presqu’île (Erie, Pa) and Fort de la Rivière au Bœuf (Waterford, Pa), which were erected to undercut British claims to the Ohio valley. That year he was promoted captain, but he was not given the cross of the order of Saint-Louis which Duquesne had sought for him. The governor did, however, entrust him with command of engineering and artillery forces in the colony. The following spring Le Mercier returned to Fort de la Rivière au Bœuf with a force of 360 soldiers and militiamen. He was immediately ordered by Claude-Pierre Pécaudy de Contrecœur to dislodge the British who had begun building a fort on the Ohio River. He was successful, and he continued construction of the fort under the name of Fort Duquesne (Pittsburgh, Pa). In early summer an expedition was organized to avenge the death of Joseph Coulon* de Villiers de Jumonville, killed on 28 May 1754 in an ambush set by George Washington. Louis Coulon* de Villiers, Jumonville’s brother, led the 500 men, and Le Mercier was made his second in command. They forced Washington and his detachment out of Fort Necessity (near Farmington, Pa), where they had taken refuge, and returned to Fort Duquesne. In the autumn Le Mercier was sent to France to give an account of the operations in which he had participated during the last two campaigns in America. On 15 October he sailed on board the Parfaite Union, in company with Bigot, Michel-Jean-Hugues Péan, and Péan’s wife, Angélique Renaud d’Avène Des Méloizes. Le Mercier returned to Quebec in the spring of 1755. In September he took part in the battle at Lac Saint-Sacrement, in the course of which he probably served as adviser to Dieskau* – Montcalm*, who had not witnessed the event, later ventured to say that Le Mercier had “caused M. de Dieskau’s defeat and capture.” During the French army’s retreat Le Mercier had the rear-guard, and with his ten men succeeded in getting out of an ambush laid by 250 British soldiers. The following summer Le Mercier commanded the artillery at the capture of Oswego (Chouaguen), Montcalm’s first military operation in New France, and his intrepidity overcame the general’s hesitations about the emplacement and laying of the guns. In six hours Montcalm succeeded in bringing about the fall of Oswego with a single battery of nine guns, firing over the parapet, but he never forgave Le Mercier, whom he characterized as “an ignorant and weak man,” for having taught him a lesson. In 1757 the artillery in the colony counted eight officers including Louis-Thomas Jacau de Fiedmont and 18O gunners; Le Mercier was still only a captain, but he received a brevet as artillery commander and a pension of 400 livres. That year the king bestowed upon him the cross of the order of Saint-Louis. 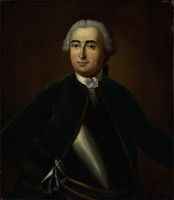 During February and March 1757 Le Mercier participated in the expedition led by François-Pierre de Rigaud de Vaudreuil against Fort William Henry (also called Fort George; now Lake George, N.Y.). The attack was called off, but after setting fire to the area around the fort, Rigaud sent Le Mercier to call upon the British commander to surrender. This demand was rejected, however, and the siege was lifted. In May Le Mercier was at Quebec and was busy assembling men and supplies for Fort Carillon (Ticonderoga, N.Y.), where he went at the end of June. In August he took part in the siege of Fort William Henry. After spending the winter in the colony, he returned to Fort Carillon in the summer of 1758. 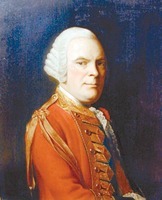 On 8 July he commanded the artillery and also distributed ammunition and fresh provisions during James Abercromby’s attack, which turned into a signal victory for Montcalm. He spent the rest of the year in Montreal and Quebec. His long winter evenings were often passed in the company of Bigot and other members of the Grande Société, with whom he indulged in gambling. In late March 1759 Le Mercier went to Les Cèdres, upstream from Montreal, to ensure the transport of supplies to Fort Niagara. In April he was in Quebec, where he apparently reported on the measures taken for the defence of the city. During the siege of Quebec he commanded the artillery and was also responsible for distributing supplies to the army which, like the population, was rationed. In addition he had to provide powder and ammunition for some 300 cannon and mortars of different calibres ranged in batteries over ten miles and to see to their security, which was threatened by bombardment and fire. Moreover, Le Mercier constantly had to cope with the confusion of authority, making the best of the orders and counter-orders of Montcalm and Governor Vaudreuil [Rigaud], of their changes of mood, and above all of their jealousy. On a number of occasions he bore the flag of truce between the governor and Vice-Admiral Charles Saunders. Using well-directed artillery fire on 23 July he prevented several British ships from forcing their way upstream of the city. This action delayed by five weeks the exploit that assured the British of victory. On 9 August, having heard of the fall of Fort Niagara, Vaudreuil sent Le Mercier, with Lévis and La Pause [Plantavit*], to complete construction of Fort Lévis (east of Prescott, Ont.). Fiacre-François Potot de Montbeillard replaced Le Mercier as commander of the artillery. After the fall of Quebec, Le Mercier went to Montreal, where he looked after provisioning the army. Fearing that Fort de l’Île aux Noix, on the Richelieu River, might be attacked, he went there in October, returning to Montreal after the danger had passed. When he sailed for France on 25 Nov. 1759 on the Machault, he was charged with informing the court of the situation and needs of the colony, a mission he performed competently. He found himself, however, among the accused when a commission was set up to deal with the embezzlement that had occurred in the colony before the conquest. Le Mercier was arrested and incarcerated in the Bastille but was cleared of all accusations and released when the decision in the affaire du Canada was finally rendered in December 1763. Subsequently he seems to have taken up residence at Lisieux, in Normandy, where he was still living in 1798, well off but completely forgotten. François-Marc-Antoine Le Mercier did not play a leading role in the drama of the loss of New France. He never held the rank or the power that would have enabled him to effect major changes in either the civil or the military organization and administration of the colony. He certainly profited from the system to make his fortune – Montcalm said in 1759: “This officer, who came out twenty years ago as a simple soldier, will soon be worth about 6 or 700,000 livres, perhaps a million, if these things continue.” The general did not conceal his dislike of Le Mercier, and he left many unfair statements about him, accusing him of being preoccupied with his finances and neglecting his military obligations. “M. Mercier, who is never anywhere because he is everywhere,” he wrote, “. . . perhaps neglects only that which concerns his profession.” In reality Le Mercier always tried to carry out to the best of his ability all the responsibilities entrusted to him, but those responsibilities, which were sometimes too numerous, prevented him from devoting himself entirely to his profession as an artillery officer. AN, Col., E, 276 (dossier Le Mercier). Bibliothèque de l’Arsenal, 5769 (papiers du comte d’Argenson), pp.298, 327, 330, 339 (PAC transcripts); Archives de la Bastille, 12128; 12142–48; 12501, ff.74, 78, 96, 115, 130, 138, 169, 174; 12502, ff.4, 18, 23, 29–30, 69, 72, 77, 88, 117bis, 198, 201, 212, 232; 12503, ff.224–25, 227, 231, 237, 242–43, 253, 262; 12504, ff.8, 9, 71, 124, 139, 164, 170, 180, 209, 227, 259; 12506, ff.23, 30, 31, 37, 42, 56, 81, 90. Coll. 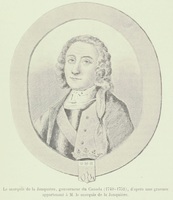 des manuscrits de Lévis (Casgrain). Doc. relatifs à la monnaie sous le Régime français (Shortt), II, 894, 896, 898. “Journal du siège de Québec” (Æ. Fauteux), ANQ Rapport, 1920–21. Knox, Hist. journal (Doughty). [A.-J.-H. de Maurès de Malartic, comte de Malartic], Journal des campagnes au Canada de 1755 à 1760 . . . , Gabriel de Maurès de Malartic et Paul Gaffarel, édit. (Dijon, France, 1890). Mémoires sur le Canada, depuis 1749 jusqu’à 1760. [Pierre] Pouchot, Memoir upon the late war in North America, between the French and the English, 1755–60 . . . , ed. and trans. F. B. Hough (2v., Roxbury, Mass., 1866), I, 23–25, 27–28, 31, 35–36, 46, 65–66, 69, 224. Æ. Fauteux, Les chevaliers de Saint-Louis, 164–65. Le Jeune, Dictionnaire. J.-E. Roy, Rapport sur les archives de France, 870, 873, 875. Tanguay, Dictionnaire. 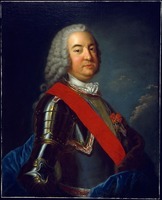 Thomas Chapais, Le marquis de Montcalm (1712–1759) (Québec, 1911), 113, 116, 120, 122–24, 139. Frégault, François Bigot, II; La guerre de la Conquête. P.-G. Roy, Les petites choses de notre histoire (7 sér., Lévis, Qué., 1919–44), 1re sér., 213–16; 3e sér., 273; 7e sér., 135, 193; La ville de Québec sous le Régime français (2v., Québec, 1930), II, 289, 385–86. Stanley, New France. Tessier, Les forges Saint-Maurice. Henri Têtu, “M. Jean-Félix Récher, curé de Québec, et son journal, 1757–1760,” BRH, IX (1903), 141, 332, 344, 354. Jean Pariseau, “LE MERCIER, FRANÇOIS-MARC-ANTOINE,” in Dictionary of Canadian Biography, vol. 4, University of Toronto/Université Laval, 2003–, accessed April 24, 2019, http://www.biographi.ca/en/bio/le_mercier_francois_marc_antoine_4E.html.